The following is a review of the new edition by Roger W. Smith. It is fitting that this new edition of The Bulwark, a book long out of print, has been shepherded into print by Michael Lydon, with an introduction written by Lydon, who has long been a “Dreiser exponent,” as well as expounder. He has unfailingly promoted Dreiser and, in particular The Bulwark, one of his favorite books, in his writings. He views The Bulwark as having never gotten the readership or critical acclaim it deserves. In his introduction, Lydon observes perceptively — and, in my opinion, accurately — that “Dreiser succeeded in making The Bulwark a masterpiece, first, by writing simply. Critics have long enjoyed the sport of skewering Dreiser’s prose — ‘elephantine’ being the most common and absurd adjective–but from their early days together Anna [Tatum] had told him to ignore such tin-eared nonsense: ‘Don’t, don’t listen to the fools, the asses, the insane people who say you write crudely. I never heard anything more stupid …’ Anna was right: sentence by *sentence, Dreiser’s plain English paints plain portraits of Solon [Barnes] and the novel’s thirty-odd characters living plain American lives.” The Bulwark, as Lydon notes, was based on the family of Anna Tatum, one of Dreiser’s lovers. One of the main characters is based on Anna, and her anecdotes gave Dreiser the idea for the novel and the lineaments of the story. Dreiser, Lydon notes, “wrote The Bulwark with a tender touch. Like Balzac, Dreiser often took a chilly stance toward his characters, letting them drift to their fates unwept. His Bulwark characters, in contrast, he cups gently in the hollow of his hand [a very apt and beautiful phrase by Lydon], studying them with calm, intelligent empathy, never judging them, never fixing their motives in iron chains of cause and effect. Indeed, he unfolds his characters so organically that they blossom through the book like flowers.” This is beautifully put, and jibes with my own recollection of reading the novel. A few critical comments from a carping critic. Lydon begins his introduction by asserting that ‘A masterpiece is a work of art so profoundly conceived and so superbly executed that, rather than dying in decades, it survives for centuries,” giving as examples Sophocles’ Oedipus Rex, Cervantes’ Don Quixote, Shakespeare’s Hamlet, Keats’ “Ode on a Grecian Urn,” Rembrandt’s self-portraits, Mozart’s Magic Flute, and Beethoven’s Ninth Symphony. He continues with essentially purple prose to explain what makes such works great and concludes by asserting that “The Bulwark … is one such masterpiece.” This is consistent with the position Lydon has taken in his previous writings about Dreiser. While I admire Lydon’s critical acumen, I do not, in this instance, concur. None of Dreiser’s works belong in this company. None are comparable to those of the masters. None would be classed as great world literature. Lydon’s observations about the simplicity and grace of Dreiser’s prose in his final novel (which was begun long before its completion) are telling and well worth noting. The comparison to Balzac is apt. Dreiser, like Balzac, cared about his characters (even if, in Lydon’s words, he cared about them negatively, so to speak, often taking, in Lydon’s words, “ a chilly stance” toward them). A paragraph on an unnumbered page preceding Lydon’s introduction, comprising a biographical sketch of Dreiser, states: “His first novel, Sister Carrie, was banned by its own publisher.” Such an error is unforgivable. Why wasn’t it caught? The banning of a book (or, in general, any work of art) is something that happens after it has been published or released. Sister Carrie was published by Doubleday, Page, & Co. in 1900. In an article by Dreiser in the March 1931 issue of The Colophon, Dreiser intimated that Sister Carrie was suppressed upon publication because of objections to the book’s content on the part of the publisher. It is true that the firm did not actively promote the book. This is not the same as banning! On an unnumbered recto page at the beginning of this new edition, there are three quotes praising The Bulwark: one from Edmund Wilson in The New Yorker; one from the Saturday Review; and one from Horace Gregory. Since Lydon went to the effort of verifying where the Wilson quote came from, why could he not have done the same with the quote from Gregory, which came from a review in the New York Herald Tribune? And, why isn’t the author of the review in the Saturday Review of Literature (as it was then named), Dreiser scholar Robert E. Spiller, named? Quibbles? Yes. But, if one goes to great lengths to reissue a beloved, long out of print work. shouldn’t care be taken to ensure accuracy and completeness of even the little details? This is something Dreiserians would probably (hopefully) care about. Alexia Garaventa‘s cover design for this new Bulwark edition is splendid. Both books deserve readership by Dreiserians. 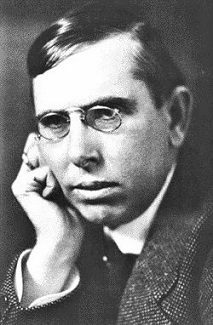 Theodore Dreiser, Anna Tatum, and The Bulwark: The Making of a Masterpiece explores new aspects behind the composition of Dreiser’s final novel, which Dreiser worked on for years before it was finally published posthumously. Key findings of Lydon include material on Anna Tatum and her family, providing for a deeper understanding of the Quaker sources underlying the novel. This entry was posted in recent publications, The Bulwark and tagged シオドア・ドライサー, シオドア・ドライザー, シオドー・ドライサー, シオドー・ドライザー, セオドア・ドライサー, セオドア・ドライザー, John Woolman, Michael Lydon, теодор драйзер, Roger Smith, Roger W. Smith, The Journal of John Woolman, Theodore Dreiser, Theodore Dreiser The Bulwark on January 6, 2019 by Roger W. Smith. Posted here (above) as a PDF file is a spoof by the humorist Robert Benchley. This entry was posted in miscellaneous and tagged シオドア・ドライサー, シオドア・ドライザー, シオドー・ドライサー, シオドー・ドライザー, セオドア・ドライサー, セオドア・ドライザー, теодор драйзер, Robert Benchley, Theodore Dreiser on July 8, 2018 by Roger W. Smith. This entry was posted in guest posts and tagged シオドア・ドライサー, シオドア・ドライザー, シオドー・ドライサー, シオドー・ドライザー, セオドア・ドライサー, セオドア・ドライザー, George Eliot, Michael Lydon, Michael Lydon “Theodore Dreiser and George Eliot: Contrast & Coincidence”, теодор драйзер, Theodore Dreiser on June 30, 2018 by Roger W. Smith.